Our discovery of Korea continues. Today, we have had a combination of academic lectures and a field trip to a Hyundai manufacturing plant. 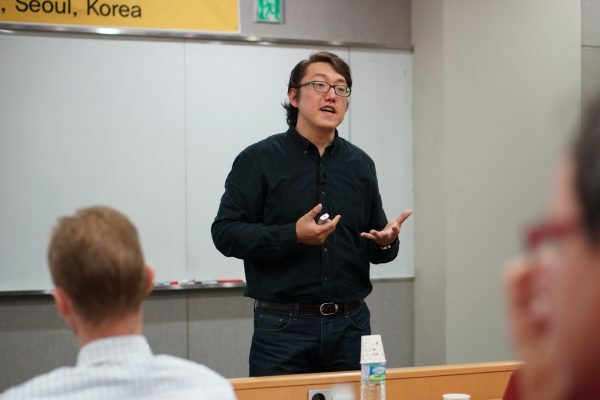 The lectures were dedicated to leadership and marketing in Korea. They led to interesting discussions in the group. 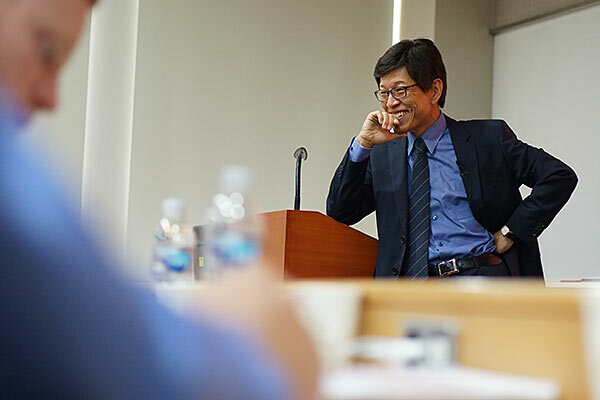 Professor Dongil Jung discusses “authentic leadership” with the group. He highlighted the leadership styles of the founders of the large Korean conglomerates (chaebols). 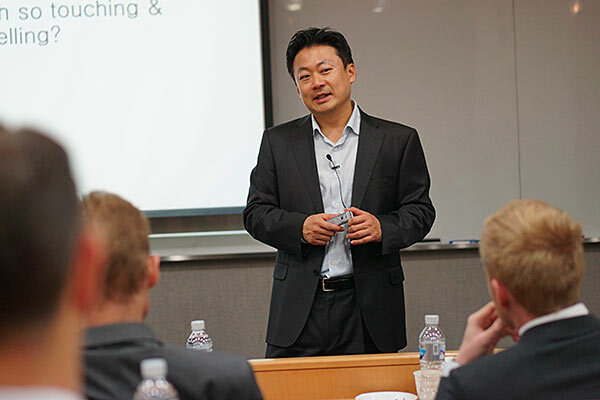 Professor Dae Ryun Chang gave insight to Korean consumer markets. He emphasized the duality of individuality and collectivism that exists in Korea. This is the We-Me phenomenon … or jaeban-taeban. 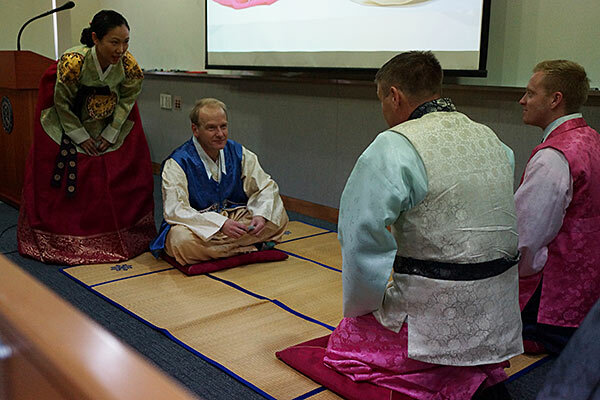 Foreign companies need to understand this to succeed in the Korean market. He noted that European high-end brands, such as Hermès, have done a good job in positioning themselves in Korea. Henrik Forsmark and Patrik Almqvist get instructions of how to show respect in front of Per Wimby. Hyundai Motor Company is in itself one of the miracles of Korea. The company was launched in 1967 and already in the 1970s, the company began to export cars mainly to emerging markets. The first years were a bumpy ride but the company has improved its technology and quality steadily and now Hyundai cars are among the top four best-selling automotive manufacturers in the world. In 2012, the company sold 4.4 million vehicles. We visited the Asan manufacturing plant with a capacity of 600,000 engines and 300,000 cars annually. The plant employs about 4,400 employees and is quite complete with engine manufacturing, press shop, body shop, paint shop and final assembly. 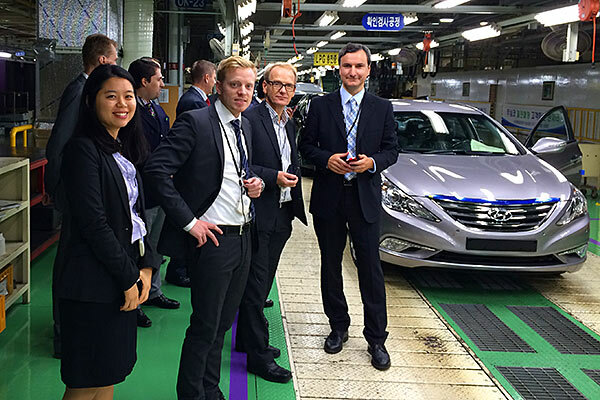 Grace Jung, Coordinator, International Affairs, Yonsei University together with participants at the Hyundai assembly plant in Asan, south of Seoul. The plant allowed several models to be assembled on the same assembly line. The end of the assembly line is shown on the picture. It is here where the engine is ignited for its first time. More than smartphones Samsung is the Korea’s largest conglomerate and consists of more than 60 companies. 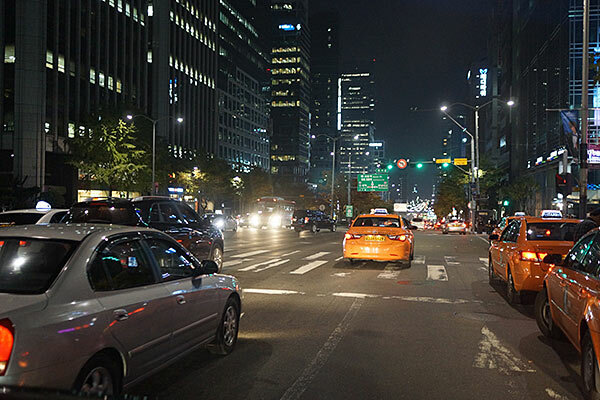 The revenues in 2012 were USD 268 billion, which corresponds to 23% of Korea’s GDP.